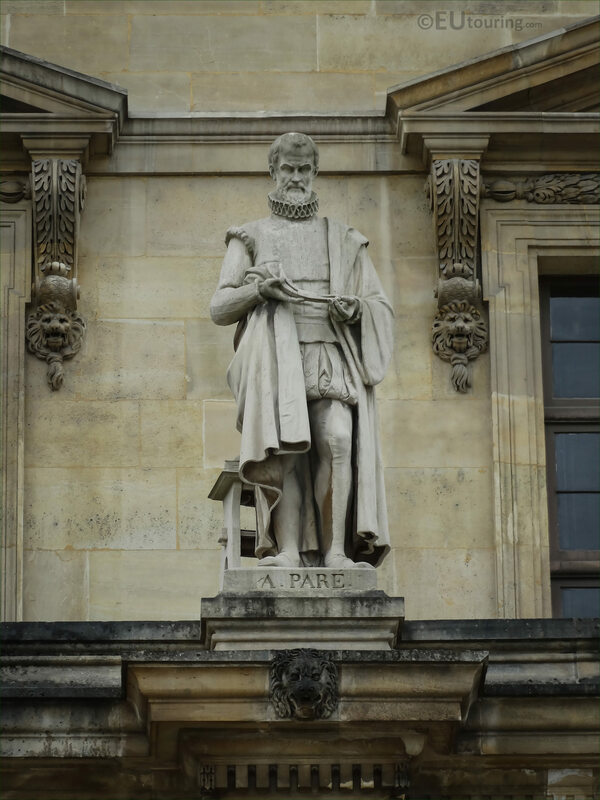 Again, while we were walking around the Cour Napoleon admiring the facades of the Louvre Museum in the 1st Arrondissement, we took these high definition photos of one of the statues that is dedicated to Ambrooise Pare. In this first HD photo you can see the statue of A Pare, which is located on the first level in between the windows on the facade of the Aile Daru, and this is the fourth statue along from the left as you are looking at the building. And this statue of Ambrooise Pare was produced in 1857 by the French sculptor Michel-Pascal, who was actually born Francois-Michel Pascal in 1810 and passed away in 1882. 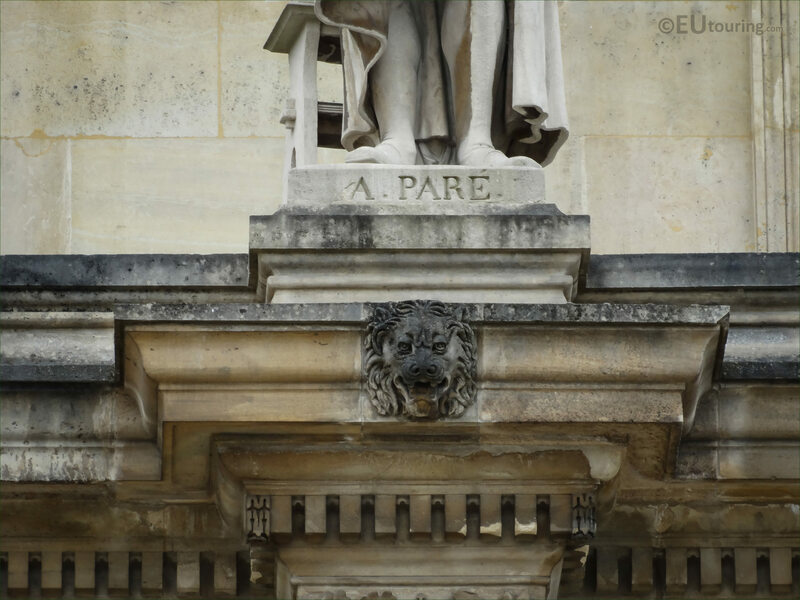 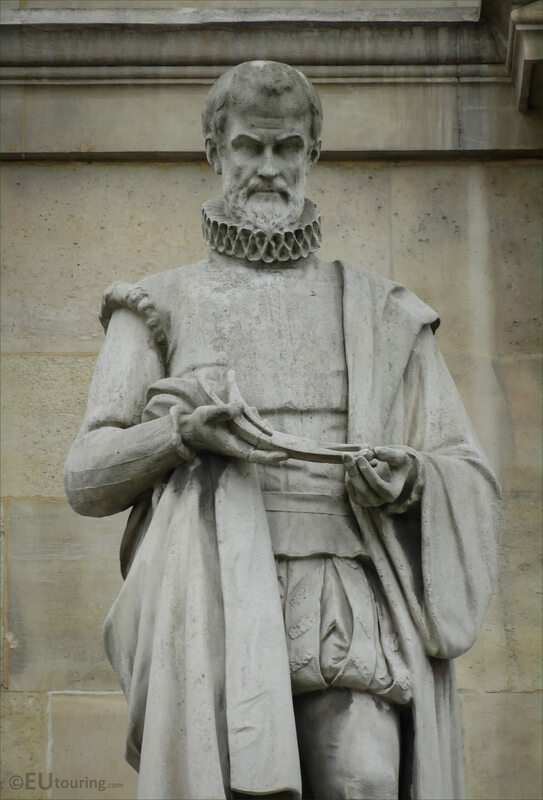 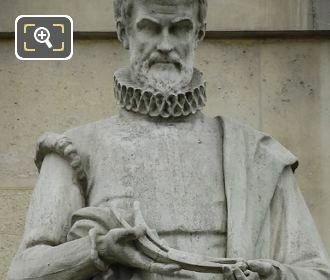 Now this last image shows a close up of the base of the statue and the name of the person, Ambroise Pare, who was born around 1510 and became a French barber surgeon who served in that role for Kings Henry II, Francis II, Charles IX and King Henry III, and he is considered to be one of the fathers of surgery, especially for soldiers, with pioneering different surgical techniques plus he invented some surgical instruments.